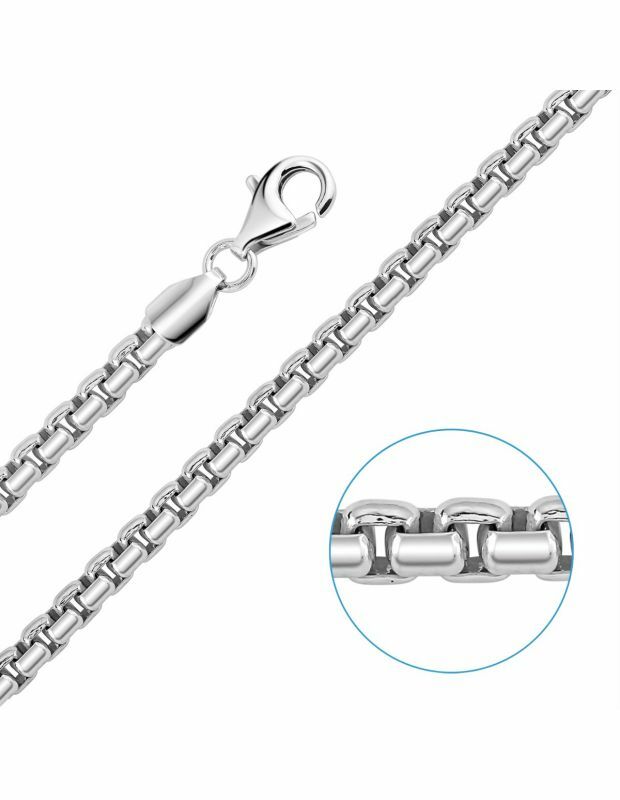 A simple cubed shaped style of chain link with clean edges and either flat or rounded surfaced links are a stylish accompaniment for your neckline. 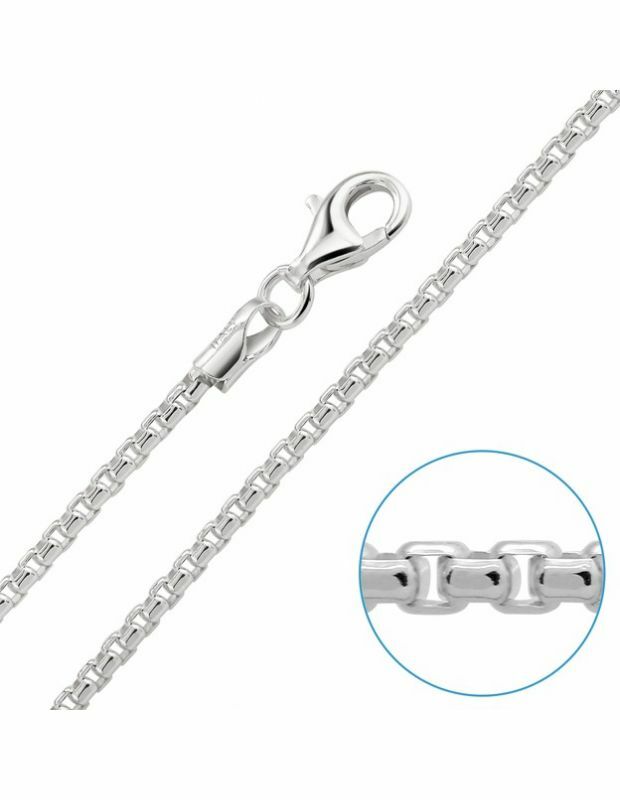 Our solid Sterling Silver Box Chains also known as Venetian Chains are a timeless style of chain link necklace crafted with passion and are durable and fashionable for everyday wear with or without a pendant. 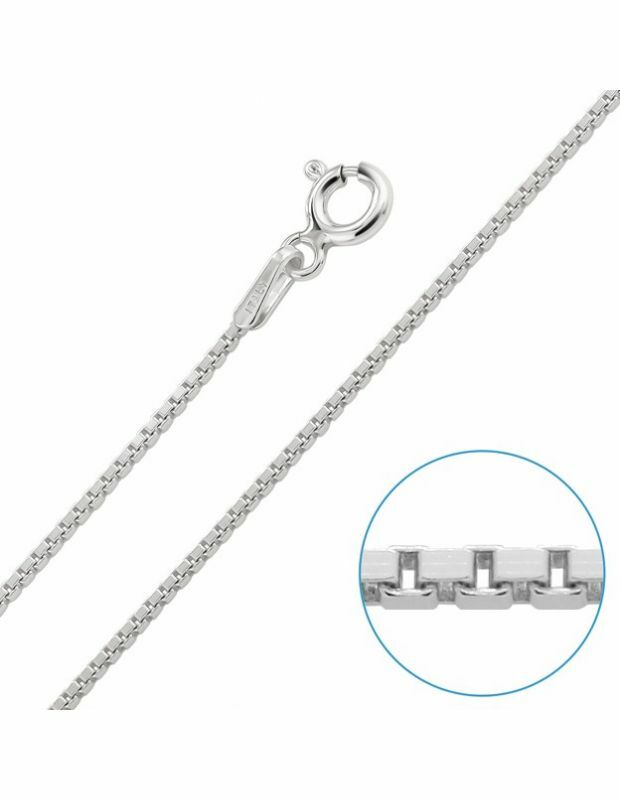 Available in lengths: from 14" to 30" inches and link width thickness from 1mm to 2mm- choose a size to fit your style. 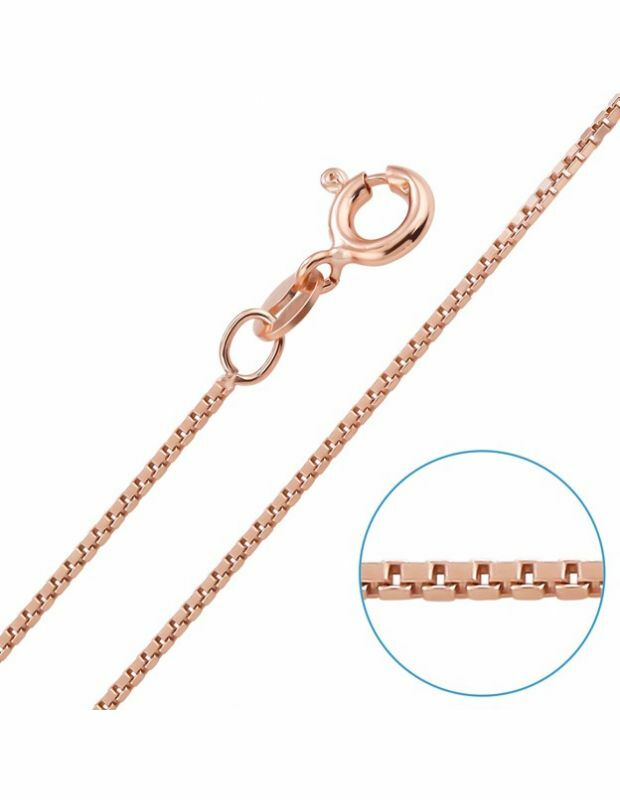 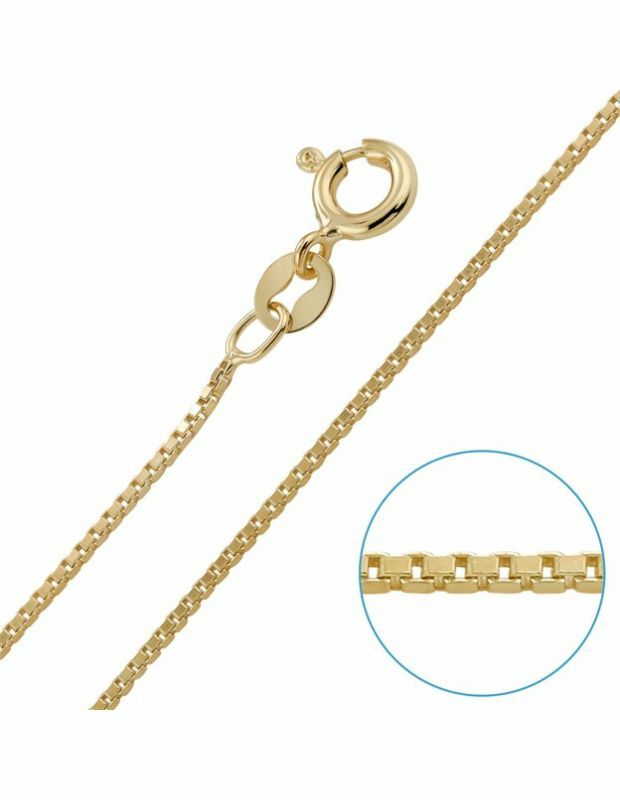 A selection of our finer Box chains are available in 9ct Rose or Yellow Gold plating, each crafted with our secure clasps and quality finishing our Sterling Silver Box chains are individually stamped 925 and excel in international quality jewellery standards.